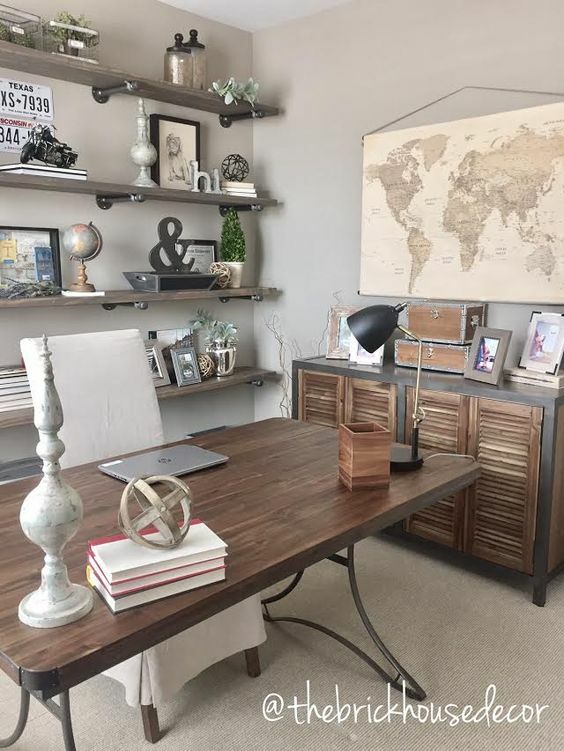 We absolutely love the neutral, earthy tones of this home office of a Texas-based interior designer. The shelving behind the desk is perfect for travel keepsakes and photos, and the hanging world map is the perfect way to decorate an empty wall. The only unrealistic part of this image? No travel agents desk would ever be this empty! Meeting with clients on a regular basis at the house? This guest-friendly home office is perfectly set up for productive meetings and focused alone time. The bookshelves behind the desk can hold your many books on favorite destinations and photos from past travels. And we love how much space there is the spread out and work on that farmhouse table! 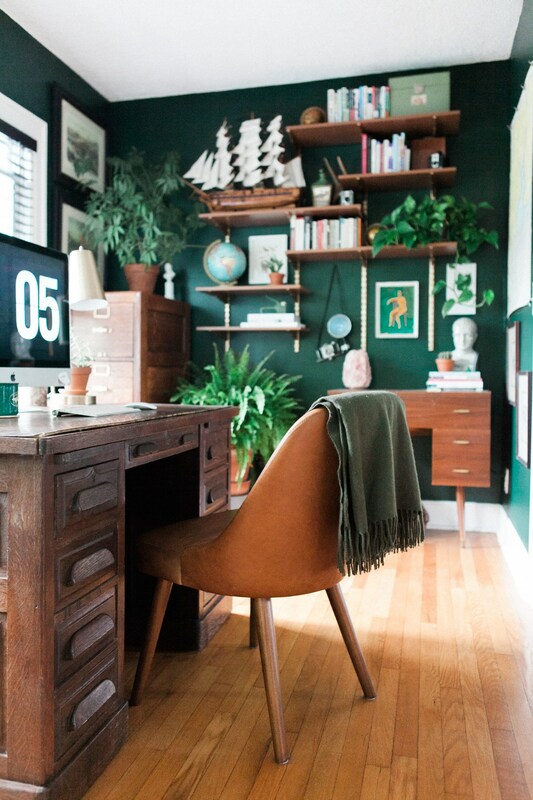 This home office channels some serious jungle explorer vibes. 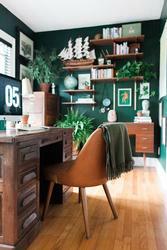 We’re big fans of the dark green walls and abundance of indoor plants livening this home office up. The vintage wood filing cabinet in the corner looks like the perfect location to store client paperwork, too! 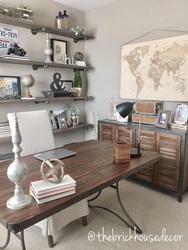 While this is smaller home office may require more coffee shop meetings with clients, it has all the aspects of a perfect spot to sit down and plan out some travel. Yes, we know this isn’t an entire home office, but we still think this decor would fit right into any travel agents home workspace. 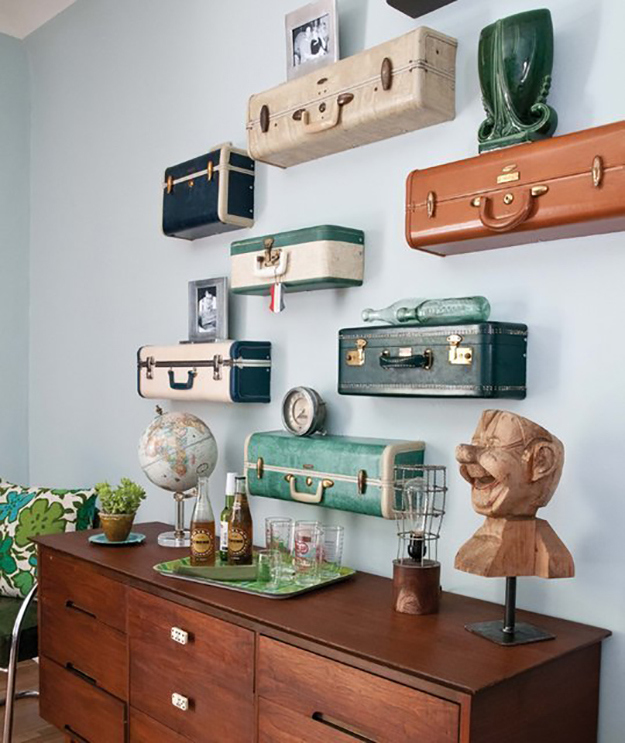 With a cute little drink station for clients, this retro decor would make any travel agent jealous. Hit a few antique and thrift shops and start building your own suitcase shelves to feature in your home workspace! Which home office design is your favorite? What does your home office look like? Share your comments with us on our Facebook page!